Built and managed by New York’s premier development company, Related Co., CityPlace is the leading visitor destination in Palm Beach County and O’Donnell has been dishing up a menu-ful of creative promotions, events and external expression for 15 years. Shopping centers like this count on the holiday season for a significant percentage of their annual revenue, so programming, promotions and ambient advertising experiences go into overdrive in December. Early in CityPlace’s history, it became apparent that we needed a stronger shopping driver for the holiday period. Our recommendation was SNOW. The gorgeous, floaty, glycerin kind to create a magical experience unmatched in the market area that would attract families from as far away as 50 miles. 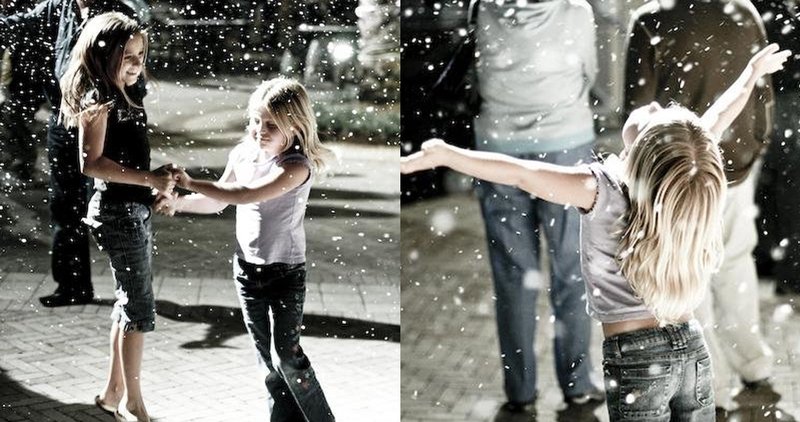 The nightly snowfalls launched in mid-November enabling CityPlace to extend the regular holiday. 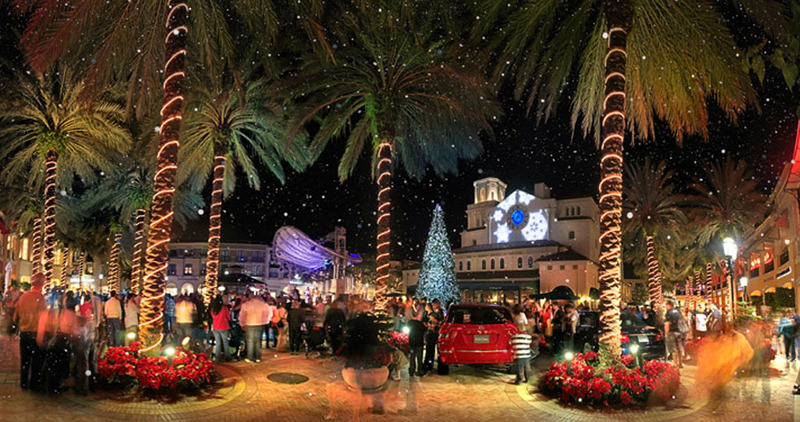 The traffic and sales records, media exposure in regards to the snow has been outstanding, and the expectation of “snowfalls” at CityPlace in November and December has become an integral part of the West Palm Beach brand.